The third edition of Fundamentals of Basic Emergency Care offers a refreshing yet comprehensive perspective on Emergency Medical Technician (EMT) education for learners, and offers a successful transition to the new National EMS Education Standards for EMT. A critical-thinking learning approach, with interrupted case studies introducing and concluding each topic, presents material in a practical manner. The book challenges learners to think critically, so you will be prepared to make smart decisions under pressure. Throughout the book, real-life scenarios are presented through case studies that support and enhance information presented in the book, giving you the opportunity to apply the knowledge you learn in the classroom. The book and supplements offer a rich learning solution for new EMTs of any background, and give learners and instructors what it takes to make it on the streets! Case studies teach learners how to think critically and prepare to problem-solve in this fast-paced environment. Street Smart tips provide advice and perspective on providing care in challenging situations. Photographic layouts lead learners step-by-step through essential skills with accompanying skill sheets in the workbook to help them gauge their progress. 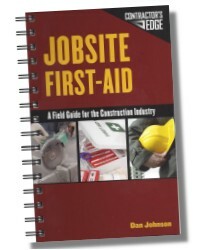 The book is organized around a call, following the flow of an EMS Response and teaching students how a call unfolds. The text follows the new National EMS Education Standards, as evidenced in the highlighted boxes that appear in each unit opener, but can be used by programs not yet transitioned to the new Standards as well. The book is organized around the EMS call, following the flow of an EMS Response and teaching students how a call unfolds. New Topics include: Bariatrics, Children with Special Challenges, Lifespan Development, Pathophysiology and Therapeutic Communications. Chapter One: Foundations of EMS. Unit 1. Introduction to Emergency Medical Services. Unit 2. Roles and Responsibilities of the EMT . Unit 3. The Legal Responsibilities of the EMT. Unit 4. Stress and Wellness in EMS. Chapter Two: The Human Body. 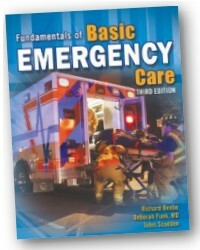 Chapter Three: Essentials of Emergency Medical Care. Unit 9. Basic Airway Control. Unit 11. Circulation and Shock. Unit 12. Baseline Vital Signs. Unit 14. Lifting and Moving Patients. Chapter Four: General Principles of Patient Assessment. Unit 21. EMS System Communications. Chapter Five: Emergency Medical Care. Unit 26. Shortness of Breath. Unit 27. Altered Mental Status & Syncope. Unit 31. Rashes and Fever. Unit 33. Trauma Overview-Kinematics and Mechanism of Injury. Unit 34. Head, Face and Traumatic Brain Injury. Unit 36. Chest and Abdominal Injuries. Unit 37. Soft Tissue Injuries. Unit 41. Emergency Childbirth and Newborn Care. Unit 42. Pediatric Medical Emergencies. Unit 43. Pediatric Trauma Emergencies. Unit 44. Child Abuse and Neglect. Unit 45. Children with Special Challenges. Unit 47. End of Life Issues. Unit 48. Emergency Vehicle Operations. Unit 49. Incident Command & Multiple Casualty Incidents. Unit 51. Emergency Response to Terrorism. Unit 52. Vehicle Extrication & Rescue Operations. Unit 53. Emergency Incident Rehabilitation. Unit 54. Air Medical Transport. Unit 55. Farm Equipment Operations. 1216 Pages - 8-1/2 x 11 in. Richard Beebe, MEd, RN, NREMT-P is the program director for Bassett Health Care Center for Rural Emergency Medical Services Education in Cooperstown, New York. He is also an adjunct Faculty member at Herkimer County Community college in Herkimer, New York. Richard Beebe has a Masters degree in education, is a registered nurse and an NREMT-Paramedic. Richard Beebe has been an EMS educator for over 17 years. Julie K. (Jules) Scadden, NREMT-P, PS has been actively involved in EMS for 17 years serving as a field provider and educator, as a volunteer and career provider. Jules has worked in urban, Fire-based EMS service, and rural municipal and hospital-based EMS services. Jules is currently a Paramedic Specialist, CQI/IT/Data Coordinator for Sac County Ambulance Service in Northwest Iowa. She is an active advocate for EMS, serving on numerous advisory boards and committees at the local, state, and national levels. She is also one of the founders and past Secretary of the National EMS Museum Foundation and the Iowa CPR Education Foundation. Jules is an EMS instructor serving as adjunct faculty for Western Iowa Tech Community College in Sioux City, IA and Iowa Central Community College in Fort Dodge, IA, teaching all levels of EMS. She is a frequent presenter at numerous EMS conferences across the country and writes a quarterly column titled "Rural Ramblings" for EMS1.com. Dr. Deborah Funk, MD is also an NREMT-Paramedic. She is an instructor for Emergency Medicine at Albany Medical College in Albany, New York where she has been an EMS educator for over 13 years. She is also the attending Physician in the Emergency Department at Albany Medical Center Hospital in Albany, New York. Dr. Funk is well known in the EMS circles for her work as an emergency medical physician. She is the national medical director for the Advanced Medical Life Support Program sponsored by the National Association of EMTs and the National Association of EMS Physicians (NAEMT/NAEMSP ).